"Triple H," the new project group led by Hyuna, former member of the now-disbanded girl group 4minute, will debut with its first EP album "199X," the group's agency said Friday. 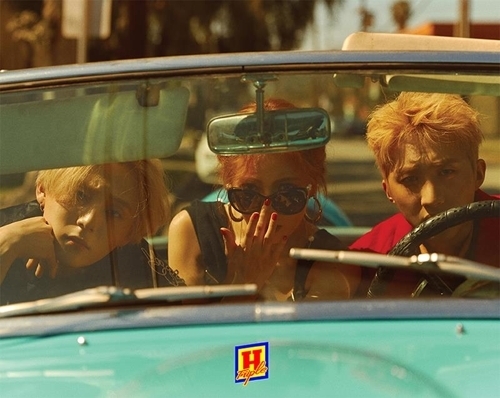 The group, which also consists of Hui and E'Dawn of boy group Pentagon, will release the album on May 1, said Cube Entertainment, which manages the artists. The album will have five tracks, including the title piece "365 Fresh" -- a punk-style number reminiscent of the 1990s.